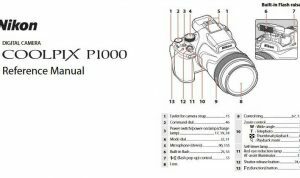 Nikon D50 Manual is aimed to fulfill the needs toward information of both technical or instrumental issue among this digital camera product especially for Nikon D50. Nikon D50 is designed to compete with other affordable digital SLR’s such as the Canon EOS 350D (Digital Rebel XT), Pentax *ist DS and Olympus E-300. It has a 23.7 mm by 15.6 mm DX format image sensor with 6.1 million effective pixels. It also has a 2.0″ (50 mm) polysilicon TFT LCD with 130,000 pixels. The camera uses a through-the-lens full-aperture exposure metering system. It can simultaneously record NEF and JPEG data to a Secure Digital storage device. When Nikon D50 was firstly released to the market? How much the price when Nikon D50 firstly released? Nikon D50 is a now-discontinued 6.1-megapixel entry-level digital single-lens reflex camera, sold from June 2005 until November 2006 by Nikon. Even if it’s already released quite long time ago, but this product is still relevant for nowadays use, especially for you who likes retro camera kind of style. 6.1 megapixel CCD delivering a maximum image resolution of 3008 x 2000 pixels. 1/500 flash sync, 1/4,000 second top shutter speed. SLR design with true, TTL optical viewfinder. 2.0 inch 130,000 pixel TFT LCD with adjustable brightness. Polycarbonate body over a metal frame for strength with low weight. Interchangeable F mount lens design accommodates a wide range of Nikkor lenses, type D and type G recommended. 1.5x multiplier applies to focal length. Body supports both mechanically-coupled and all-electronic AF-S lenses. Program, Digital Vari-Program (Scene), Shutter Priority, Aperture Priority and Manual exposure modes. New 3D color matrix metering II exposure system, integrating 420-segment RGB white balance sensor. AF system offers single and continuous servo modes, as well as new Auto Selection (AF-A) mode, in addition to manual focus. TTL flash exposure metering in three modes (with the SB-800 or SB-600 flash units). ISO 200 – 1,600 exposure range. White balance has auto, six manual modes, and preset option. Three color modes, plus contrast, saturation, hue, and sharpness adjustments. Built in, five-mode popup flash. Continuous shooting, Auto Exposure Bracketing, and Self-Timer modes. JPEG, RAW (NEF) and JPEG + RAW (NEF) file formats. USB cable for computer connection. Included CD-ROM loaded with PictureProject software. NTSC Video cable for connection to TV. 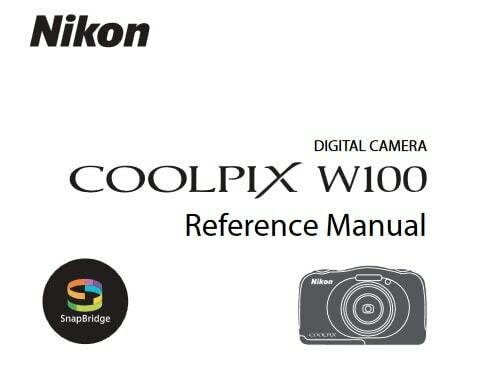 In the first release Nikon D50 with Kit (Body + 18-55 mm DX lens) would be about US$ 899. Now, if you’re interested to own this compact digital camera device, you can get it in several online stores by paying $60.00 (body only), $299.99 with 18-15mm & 55-200mm, $132.00 with 18-55mm lens, and $250.00 with 28-80mm lens for the used products. 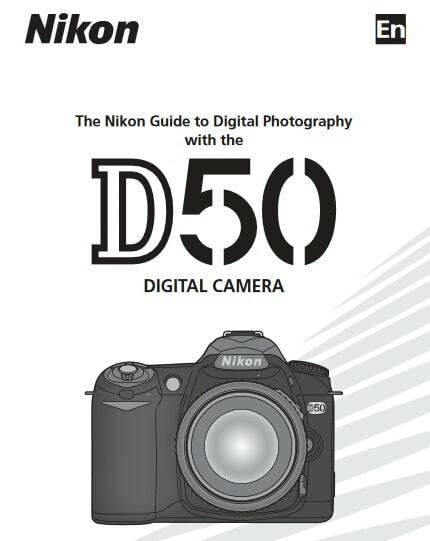 Feel free to download the nikon d50 manual user guide at below.